Adrienne Outlaw’s Fecund Series is part of “TAKE CARE: Biomedical Ethics in the 21st Century,” which features the work of various female artists commenting on the dilemmas resulting from rapid biomedical advancements. 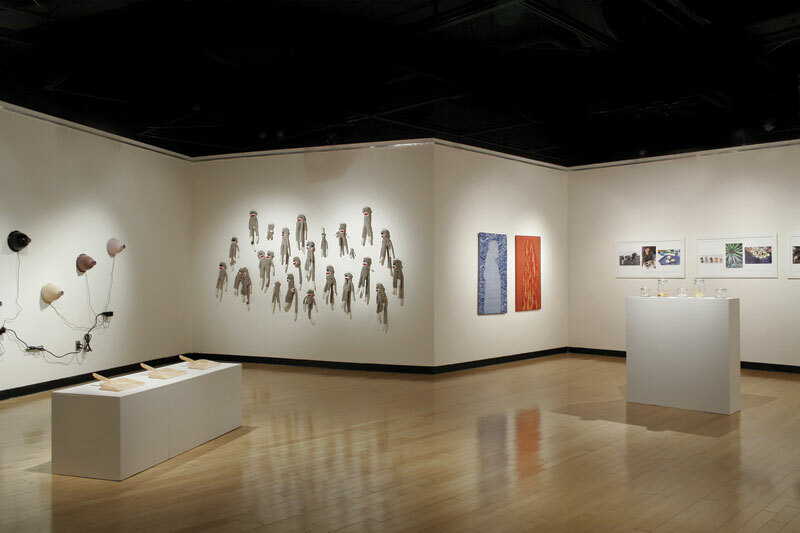 It is a traveling exhibition that is currently at Austin Peay State University Trahern Gallery in Clarksville, TN through February 5, 2012. It then moves on to the University of Wisconsin-Green Bay Lawton Gallery from March 1 to March 29, 2012. Read the review by Perrin Ireland in Nashville Scene. Installation view of “TAKE CARE.” Photo courtesy of Nashville Scene. Adrienne Outlaw also provided a sneak peak of her studio and new work in Nashville on www.nashvillescene.com that you do not want to miss! 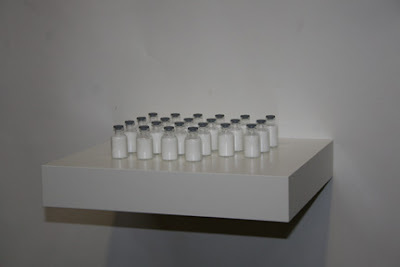 New piece demonstrates amount of sugar a person consumes in a day. This entry was posted in Adrienne Outlaw, biomedical ethics, fecund series, Nashville, Sculpture, TAKE CARE: Biomedical Ethics in the 21st Century, video installation, whitespace on February 1, 2012 by Whitespace.